Boasting a gorgeous khaki colour, this blouson top from Beach to Beach promises to liven up your swimwear collection in an instant. Removable straps allow for an even tan without unsightly tan lines, and the contrasting bust shelf and straps add an eye-catching finishing touch. 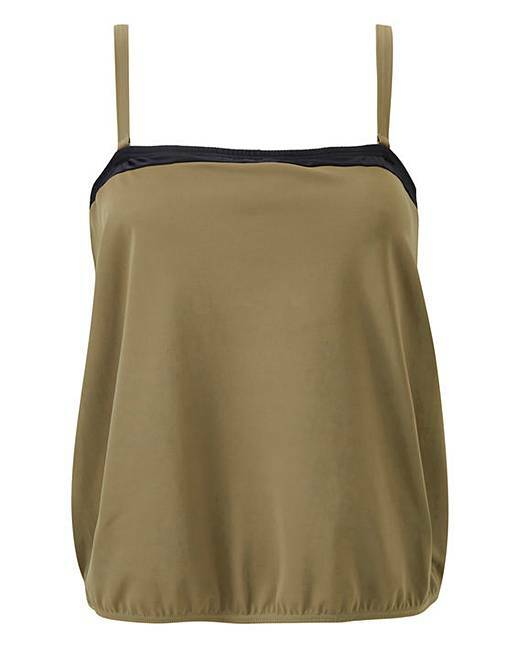 A must-have in your holiday wardrobe, this blouson top is perfect for making a style statement on the beach this summer!